The following is a collection of the Aulora Pants with Kodenshi testimonials that I’ve come across on the internet. Some of the testimonials were gathered from Facebook. Some were shared with me by my business associates on WhatsApp. Does it really help to improve our well being? If you are currently doing your research about the pants, I hope the testimonials below will help you to answer some of your questions. The main benefits of the Aulora Pants is help to improve your blood circulation. And one of the effect of better blood flow is slimming. The follow is an amazing slimming testimonial gathered from an associate in Hong Kong. 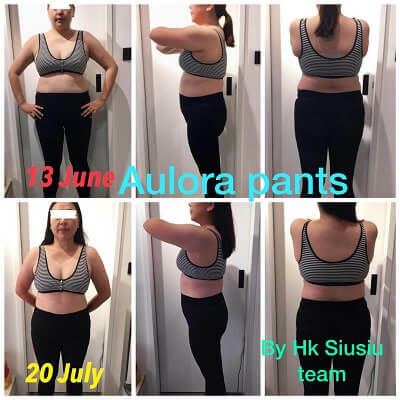 Can the Aulora Pants help with stroke recovery? Some people may be wondering, can the pants help to improve the mobility of people that had a stroke? 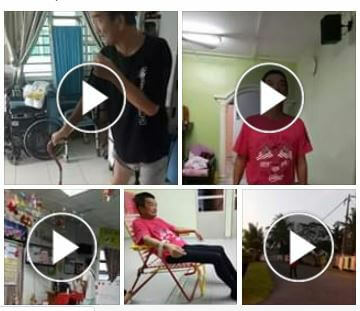 The following is a video testimonial I found on Facebook on stroke recovery using the pants. The following is a very creative use of the Aulora Pants. 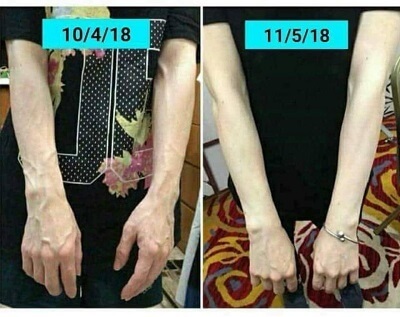 Someone actually used the pants to help reduce varicose veins on her hands. There are many theories exist for why varicose veins occur but the consensus is that it is caused by defective or damaged valves within the veins. When you use the leggings to cover your hands, it can help to reduce the appearance of the varicose veins.